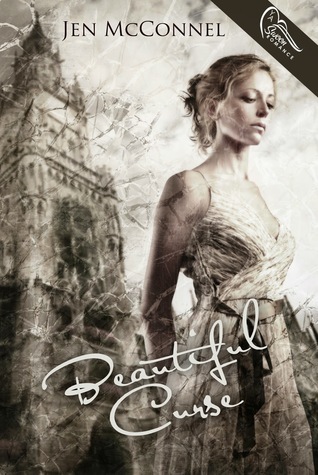 The Best Books Ever: Beautiful Curse ~ Jen McConnell ~ Blog Tour Review (by Jaime!) and Giveaway! 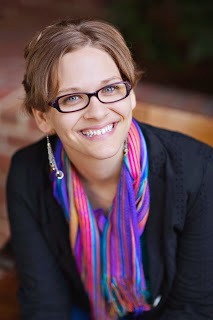 Beautiful Curse ~ Jen McConnell ~ Blog Tour Review (by Jaime!) and Giveaway! When I saw the word curse, I was instantly at attention, but I will admit that the "most beautiful creature on earth" caused some mild (massive) hesitation. But I forced myself to keep reading, and the hesitancy eased. I am really glad that it did. Beautiful Curse not only has a gorgeous cover, but the story is a pretty darn good one. The Psyche and Cupid myth isn't one that I know very well, not as much as some of the others, but I know enough about it that I was intrigued. Now, I am going to have to go read the full, original myth so I can see the parallels, but even without knowing that, I can tell you that this is a great book, on its own. The characters were all wonderful. Mya shows growth throughout the novel, and Ross is a very intriguing, but mysterious person. The romance was very heartfelt and emotional. The pacing was perfect. I never found myself getting bored, or wishing the story would hurry. I was fully involved from start to finish, and very sad to see the book end. The writing was very well done. The plot itself is mysterious, and I loved that. I don't want to say much, if anything, about it, because I believe that was one of the greatest parts, watching the story unfold page by page. I would absolutely recommend this to anyone who loves a sweet romance, and a story that pulls on your emotions from the get go. I thoroughly enjoyed myself with this book, and I am curious to see what this author writes for us next. And, again, just look at that cover! It is beautiful! congrats to Jen on the new release! This looks and sounds amazing :) Thanks for sharing! I love re-imaginings of classic myths and tales. This sounds amazing. I can't wait to read it. Thanks! I love retellings and I loved Jen MConnel's Daughter of Chaos, so I definitely want to read this one.